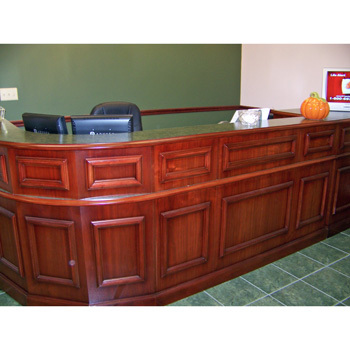 This is a Beautiful Carrico Custom-Made Wood Reception Desk. You can have any setup you need, in beautiful wood with traditional or contemporary detailing, made completely in America. It’s made from high quality hardwoods and the stain is hand-rubbed with care. Call me for more information and pricing specific to your needs. This comes in Cherry, Mahogany and Walnut or any other stain you would like. Call 314-266-9083 for more information about this product. Get a free, custom solution for your office furniture needs. No obligation, get the answers you need now. Take advantage of my 20 years of space planning experience to craft the perfect cubicle plan for your office today. Our showroom hours are by appointment only. We are not open 9-5 because many of our clients need us on-site, measuring, designing and installing their office furniture. We also do office furniture liquidations and decommissions. If you don’t want your used furniture thrown in a landfill, give us a call. We re-sell, repurpose, donate and recycle everything we can. Our goal is to keep good furniture in the hands of people who can use it. Saturday & Sunday : Open by Appt. Copyright 2017 - All content owned by Better Office Furniture. 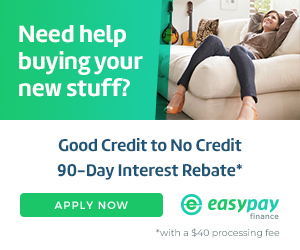 Website created and managed by Worry Free Marketing, St. Louis. Sitemap.